2G/GSM gave us digital voice on a global scale, 3G gave us additional capacity with a taste of mobile data, and 4G brought a transformation in network topology from circuit switched to IP based, allowing basic commercial IoT applications to become a reality. 5G will enable speeds of 10Gbps, 10x faster than 4G. Latency will significantly improve from 10ms in 4G, to 1ms in 5G, and will provide roughly 8x the capacity of 4G networks. 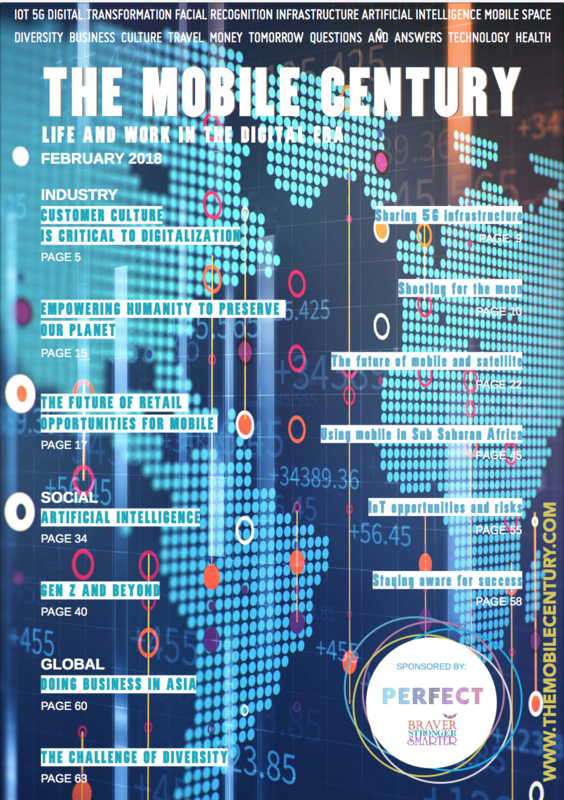 As we approach the advent of ultra-high bandwidth, low latency 5G/IoT, coupled with the explosive plethora of intelligent devices in addition to that of the common mobile phone, there will be a contextual change in the relationship between the consumer, industry and the Mobile Operator as networks and use cases evolve. 5G will provide enhanced Mobile Broadband (eMBB), Fixed Wireless, Massive IoT, and Mission Critical Services by utilizing spectrum in the High (24GHz – 86GHz or mmWave bands), existing LTE frequencies in the Mid (1GHz to 6 GHZ) and Low (below 1GHz) bands. 5G will co-exist with 4G for many years to come and will require diverse network densification at the Macro, Indoor and Small Cell layers. 5G will provide increased coverage which will support multiple network topologies including private networks and unlicensed spectrum. Additionally, Fiber Optic Networks will need to expand both capacity and coverage in order to support the densification of Small Cells in the Mobile Network and to provide the bandwidth required to backhaul 5G networks. 5G will leverage Advanced Computer Processing, Artificial Intelligence and Edge & Cloud Services, together with Advanced Industrial Security for 4G & 5G in order to connect seamlessly with Gigabit LTE and support LTE IoT applications. In 5G the center of computing intelligence shifts to the distributed wireless edge of the network; closer to the user in order to reduce latency. 5G will use Network Slicing in order to meet application QoS requirements and will offer Ultra Reliable Low Latency Communications (URLLC), providing 99.9999% reliability, capable of supporting mission critical and time sensitive applications such as industrial applications, autonomous vehicles, and Massive Machine Type Communications (MMTC) such as M2M sensors. Today there are 8.83B global connections including IoT, and 5.109B unique mobile subscribers worldwide. 5G/IoT requires a 10X increase in current 4G network performance in order to support mission critical applications. To support IoT, mobile operators must invest in Spectrum, Radio Access Network (RAN) Infrastructure, Transmission (Backhaul), and their Core Networks. It is estimated that the global spend on 5G/IoT between 2018 to 2025 will be approximately US$1.4T, yielding a global economic output of US$12.3T by 2035, according to the World Economic Forum (WEF). Approximately one-third of these 5G costs will be attributed to the RAN and transmission (Capex & Opex), coupled with Small Cell Densification, according to a McKinsey study. Additionally, the GSMA forecasts that 70% of the world’s population, or roughly 6B people will be using mobile internet, and 40% of the world’s population will be on 5G networks, with 1.1B active connections (excluding IoT) in 2025. In order to scale the costs 5G initially, operators will begin by upgrading the capacity of their existing 4G networks and by re-farming their existing 2G and 3G spectrum, taking a prudent approach to investment as revenue generating applications and use cases emerge. Data Collection and data privacy related to public domain use cases remain an open issue for Regulators to catch up with, requiring new legislation. Additionally, streamlined regulatory processes for the deployment of Small Cells would assist in reducing the costs and timing associated with the rollout of 5G. Key industry applications and use cases for 5G/ IoT will impact our daily lives and create new revenue models for Mobile Network Operators (MNO’s). Many of these applications have already started to emerge in 4G including: Automotive, Industrial Manufacturing, Smart Cities, Smart Home, Healthcare, Asset & Fleet Management, Digital Signage, Utilities, and Immersive Tech. As the fidelity of these applications evolves in 5G/IoT, new revenue models will emerge based on ultra-low latency and improved QoS, which will be the key differentiators for most use cases. Automotive will entail the use of Connected Cars (CC) and Autonomous Vehicles (AV), and will include technologies such as Augmented Reality (AR) and Virtual Reality (VR) which will be implemented into the communication between vehicles, vehicle to pedestrian, vehicle to infrastructure and with autonomous driving. Application development is currently focused on safety, insurance, remote in-vehicle system updates & diagnostics, route planning, coordinated driving, and real- time GPS location updates. Safe driving, utilizing customer opt-in vehicle sensors, has already resulted in savings to the consumer with new less costly insurance models. The Industrial Manufacturing is estimated to become among the rst users of private 5G networks. Industrial segment connections are expected to grow by 4.7X between 2017 – 2025, from approximately 3.5B to 13B, according to the GSMA. Industrial Manufacturing requires a high level of QoS to the 99.9999% that 5G will provide, as well as superior network security. This will allow for the wireless replacement of Ethernet connectivity to machines within the manufacturing facility, as well as enhanced analytics. While security and encryption has evolved, there is still a great deal of work to be done regarding Cybersecurity issues in general and in relation to the manufacturing environment. Smart Cities will utilize IoT to reduce costs, increase public safety, and increase revenues. According to Ovum, over 180 contracts for Smart Cities had been announced by the end of June 2018. IoT has the potential to save more than 50% of lighting costs to municipalities, which is significant as lighting costs make up some 40% or municipal budgets. Video streaming of surveillance cameras in public & remote locations will help monitor roadways, public transportation and pedestrian walkways in order to increase public safety, help reduce crime rates and divert traffic as required. Additionally, smart parking meters and sensors will help increase the flow of traffic and provide additional revenue in real-time over IoT. Smart Home applications already allow for the monitoring of almost everything from your door bell to your toothbrush. In a 5G/IoT environment we will see improved streaming video and enhanced analytics to support applications such as; home security & surveillance systems, HVAC systems, remote entry, lighting, utilities, kitchen appliances, vacuums, washer/dryers, and personal care devices. Additionally, we will see smart applications for exterior equipment such as smart lawn mowers, and intelligent pool systems. Healthcare in both developed and developing countries can be transformed with the ability to provide high resolution, remote surgical assistance to rural hospitals and communities. Virtual Doctors can assist patients in real time via High Definition Video and VR technology to provide basic healthcare, pregnancy, neonatal care and health education. Additionally, there is a plethora of patient wearables and hospital remote monitoring equipment under development: blood pressure, heart rate, blood glucose, and seizure sensing devices from which new services are evolving. Elder care is developing, with assistance of always-on technology, allowing for seniors to remain in their homes longer with the combination of healthcare and video technology. Asset & Fleet Management utilizing GPS tracking sensors allows companies to track vehicles, such as rental car or shipping companies, resulting in loss prevention of company assets. It allows shipping companies the ability to receive real-time data related to freight deliveries, food deliveries and just in time supply chains for manufacturing, which will improve the bottom line. For the consumer it allows deliveries to be pinpointed, in order to reduce theft. Dashcams mounted in company vehicles, trucks and public service vehicles provides additional asset management in case of accidents or emergencies. The electronic billboard, or Digital Signage, is used to provide advertising on the large screen and as a data information source at bus stops on small panels. These large screen panels will offer high resolution in 5G and become interactive with speech and sound capabilities. Additionally, these panels yield new revenue models by allowing for timeshare advertising at the push of a button. These panels are also capable of providing real- time information regarding public safety and emergency service information. Cisco predicts that there will 933 million Low Powered Wide Area (LPWA) modules operational by the end of 2019 for use in monitoring utilities such as electric, water, and gas. These sensors are battery operated and are expected to last about 10 years. They allow utility companies and their collection agents to monitor usage, collect payments and provide analysis on usage patterns in developed and developing countries. They will allow for Pay-As-You-Go utility services to be administered via mobile for those is developing countries, creating a significant societal impact. The customer experience in 5G will become highly personalized by leveraging AR and VR technologies. The personalized applications available for retail shopping, offering the ability for the virtual try on of clothing will increase the mobile spending of eRetail applications. Additionally, the immersive experience for inter-active gaming will propel increased penetration of Mobile Gaming, Immersive TV and Video Consumption. These applications and use cases are ranked at the top of multiple research studies associated with 5G/IoT revenue creation. Revenues for the mobile industry are projected to be $1.1T US in 2019, with approximately 64% of revenues coming from developed economies such as the US, Japan, and South Korea. China and India are the key drivers of growth in developing economies, as demand for data and increased subscriber penetration help to accelerate growth. Looking forward, while there is a huge appetite for new 5G/IoT services, the GSMA projects a slowdown in global revenue growth year-on-year in Developed Markets from 3.8% in 2017 to 2.3% in 2020, primarily due to unlimited price plans and increased competition in the US. Developing Market growth year- on-year is also predicted to slow from 2.8% in 2017 to 0.07% in 2020 due to increased competition, regulatory intervention, reduced mobile termination rates in India & Malaysia, protracted revenue growth in Africa and a slowing of China’s economy. Having concluded her long tenure with the IFC (World Bank), as Principal TMT Advisor, in the Global Telecoms, Media & Technology Investment Sector, Laureen has resumed the helm of Extelcon as Executive Adviser to the TMT industry; providing consulting services to the private sector and investment communities regarding the technical & commercial bankability of Telecoms & Satellite projects on a globally basis. As a senior member at the IFC (World Bank’s) TMT Team, she was responsible for business development, due diligence and the financial evaluation of companies for investment in Emerging Markets; providing guidance on new projects and oversight to portfolio companies including deal structure & operational improvements, from concept through to exit. 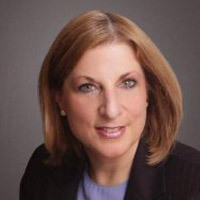 Prior to joining the IFC, Laureen was with Alcatel-Lucent, as Vice President 4G/LTE Strategy. She is a founding Director of the GTWN, and is a BOD member of Rising Tides III, a European based Angel Investment Fund, providing financing to female led start-ups in the tech industry. She is a founding Director of several joint venture European and Asian wireless companies; Debitel GmbH (Germany), Telestet (now Wind Hellas, Greece), and PT Satelindo (now Indosat) of Indonesia. In June 2017, Laureen was named to the Top 50 Women to Watch in the Telecoms Industry by Global Telecoms Business.